During the month of March World Vets sent a veterinary team to the Otavalo region of Ecuador in support of our small animal project. 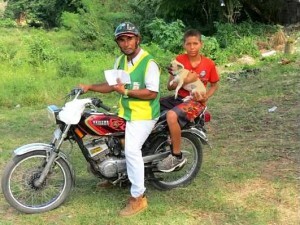 We have been working in this region for the past four years with local animal welfare group PAE Ibarra to control the street as well as owned small animal population. We thank Fondation Brigitte Bardot for their continual support of this project as well as our volunteers that put forth an outstanding effort which resulted in 229 free spay/neuter surgeries being performed. 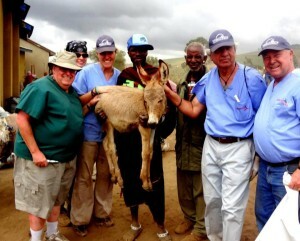 We have just completed a two week veterinary campaign in Arusha, Tanzania. During this campaign, our teams operated mobile donkey welfare clinics in multiple areas which resulted in close to 1000 donkeys receiving free veterinary services. Following donkey work, we also operated a vaccination campaign where 400 dogs were vaccinated for rabies. We’d like to thank the Arusha Society for the Protection of Animals (ASPA) as well as our Team Arusha volunteers for such a successful outcome. 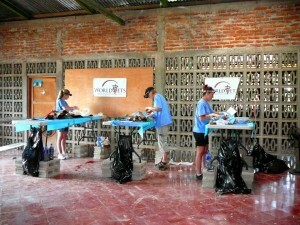 Join our veterinary team going to Nicaragua this summer! 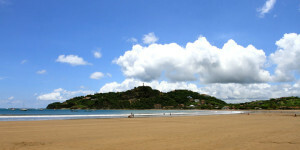 We have just re-posted our August 3 – 10, 2013 project scheduled for San Juan del Sur; a charming little beach town located on the Pacific coast right by the Costa Rican border. Aside from veterinary work, there are many things to see and do during leisure time such as surfing, zip lining, nature trails and wildlife watc hing as well as rappelling and fishing. With support from Fondation Brigitte Bardot, World Vets has been able to provide free spay/neuter services in the town of San Juan del Sur, Nicaragua for the past 3 years. During the month of March 2013 we are providing such free services for community owned animals. 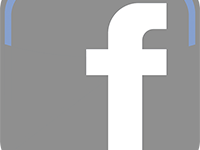 Enjoy our photo album on Facebook – more pictures to be posted soon! We have 1 volunteer position left on our small animal project to San Juan del Sur in July 2013: check it out and join our team! 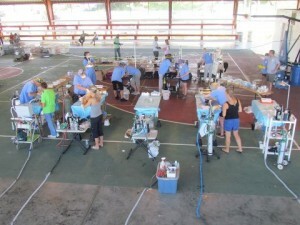 World Vets has just had a veterinary team return from Sosua, Dominican Republic. There they provided a free large scale sterilization campaign. We’d like to thank Fondation Brigitte Bardot, the entire crew of Asociacion de Amigos por los Animales Sosua (AAAS) as well as World Vets volunteers for making this a successful operative. Unlike many field condition clinics, we had the luxury of gas anesthesia! 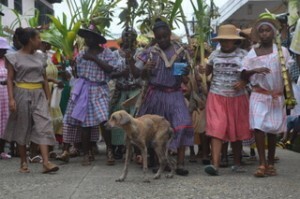 This allowed for 189 safe spay/neuters to be provided as well as 14 additional sur geries to be performed. 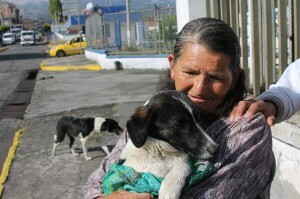 Overall, 226 animals were seen and treated by our team. 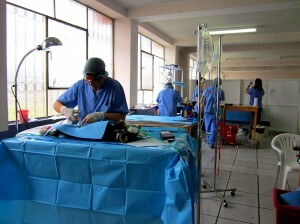 There is just 1 VETERINARIAN spot left open for our June 2013 Rio Dulce, Guatemala Project. Need adventure or just a place to get away from it all? Join us on a trip to the Caribbean side of Guatemala and stay at a rustic jungle eco lodge that is not only along a river but located at the center of it all (i.e. 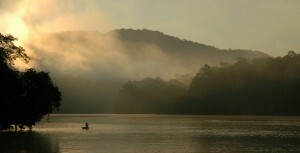 manatee reserve, waterfall, river kayaking, trekking). There is just 1 spot remaining on our Technical Animal Rescue Course scheduled for July 2013. This course is packed with practical, real world tips and tricks on how to safely rescue animals. This is a must-have course for any rescuer who may be called upon to rescue a cat from a tree or safely rescue and transport a dog during a flood. This course also meets the technical training requirements to be considered for World Vets disaster teams. 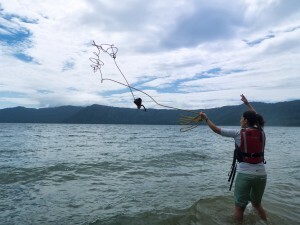 It also takes place in Laguna de Apoyo located in Nicaragua. Read more about this experience here. 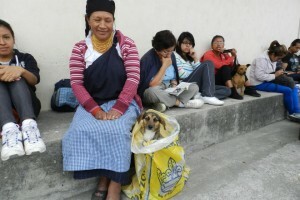 With support from Fondation Brigitte Bardot, PAE – Ibarra and local municipalities, World Vets has been providing regular high volume spay/neuter services in Ecuador since 2009. 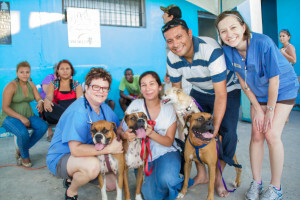 Spanning the last four years, World Vets has sent 10 veterinary teams (about 150 volunteers) to Ecuador which has brought veterinary care to animals that would otherwise have none. We have also secured agreements with the municipalities of both Ibarra and Otavalo. These agreements stipulate that they will not carry out poisoning campaigns in exchange for our free spay/neuter services for community animals. This is one of our most successful small animal projects to date. 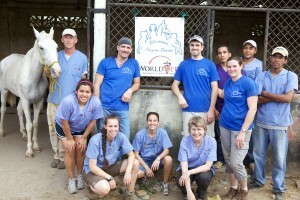 With the support of Fondation Brigitte Bardot, World Vets has been providing free equine health clinics in Granada, Nicaragua for several years. The project first began by treating the carriage horses, that serve as taxis in the city, and has expanded to include cart horses as well. 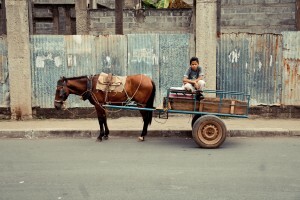 Cart horses are not only used as a mode of transportation but they also haul raw materials and goods. As a result of their labor intensive days, routine veterinary care is required for both to ensure their well being. With World Vets ongoing care of the horses in and around Granada there is now a noticeable difference in their condition for the better.